You’ve just stepped out of your eyebrow appointment at The W Spa and you are feeling better than ever with your absolutely flawless brows. We want to help you understand which brow products are essential to maintain those perfect brows between appointments. Alyse Claire products are organic, vegan, cruelty-free, gluten free, and made in the USA. Each brow product has a lightweight feel and is buildable, allowing you to achieve your desired brow. The Organic Eyebrow Pomades are essential for creating a clean, distinct brow line and for filling in any bare spots in thin brows. The product goes on flawlessly with the Brow Pomade Duo Brush. It is available in Light, Medium, and Dark to match different hair colors. The formula is organic, vegan, and cruelty-free! The Organic Eyebrow Powders should be your go to product for shaping the arch of your brow and filling in any bare spots. This product leaves your brows looking naturally shaped and full. The powder is easily applied with the Brow Powder Brush. The powder is buildable so you are able to achieve your desired darkness and shape. Once you are finished building your perfect brow, the Eyebrow Gel helps to seal the deal. This gel will keep your brows in place all day! This product goes perfectly with the Eyebrow Powder- apply the gel before or after applying the brow powder to set the power and achieve results that last all day. These brushes will make applying product to your brows a breeze. We have 3 brushes each designed to help achieve your desired brow. Each brush is unique and will help you perfect your brows. 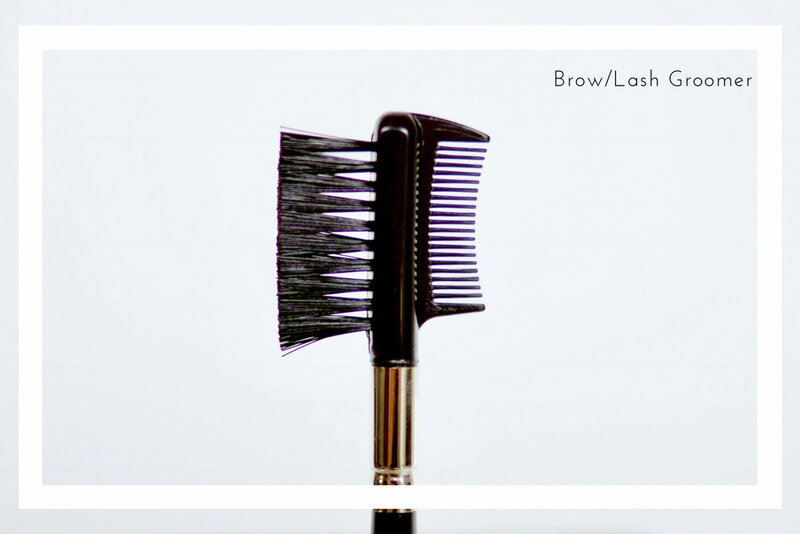 The Brow Groomer is a comb and brush combo used to brush the brows into place before application of Brow Powder and Brow Gel. It can also be used to separate eyelashes before applying mascara to keep them from sticking together. The Brow Pomade Duo Brush has a soft angled brush for creating precise brow lines on one end, and a spooley on the opposite end for dispersing Pomade through brows. The Mini Brow Powder Brush is a stiff, angled brush specially selected for the correct application of Brow Powders.